HATTIESBURG, Miss. (AP) — A man whose death sentence was overturned in 2014 has been resentenced to life in prison. State prison records show 44-year-old Roger Gillett was resentenced in July. Gillett and then-girlfriend Lisa Jo Chamberlin were convicted of killing Gillett’s cousin and the cousin’s girlfriend in 2004 because they wouldn’t open a safe. Dismembered bodies of Vernon Hulett and Linda Heintzelman were found stuffed in a freezer on a farm near Russell, Kansas. 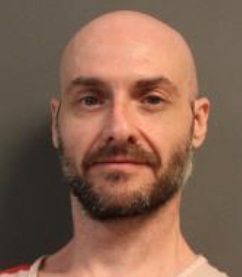 The Mississippi Supreme Court voided Gillett’s death sentence, finding jurors wrongly considered Gillett’s attempted escape from a Kansas jail. Forrest County District Attorney Patricia Burchell consulted victim families before deciding against the death penalty. Chamberlin’s death sentence was reinstated in March after a federal appeals court dismissed accusations of racial bias in jury selection.